Disclaimer: We were provided with free product(s) in exchange for a Review. No other compensation was provided! Like always , the opinions stated in this post are 100% honest and all Mine. This post also contains affiliate links. Only a few more weeks to get everything ready for the new school year. Whether it's for the backpacks, lunchboxes, School supplies, etc., Zazzle has got you covered! We received a BEAUTIFUL customized Yubo lunchbox. Of course we had to go with Frozen! The Yubo is really easy to open...even for kids! You take the lid off and inside you’ll find your containers, all with their own lids so they are spill-proof (woohoo!). This 3-set of containers is the set that comes standard with the deluxe Yubo model. There are a few other container shapes which can be purchased separately, along with some other accessories. I plan on getting those real soon! It is a tad larger than a standard lunchbox, but the kids can either carry it or fit it comfortably in their backpacks! Underneath the containers is a custom built ice pack that fits perfectly inside the Yubo. 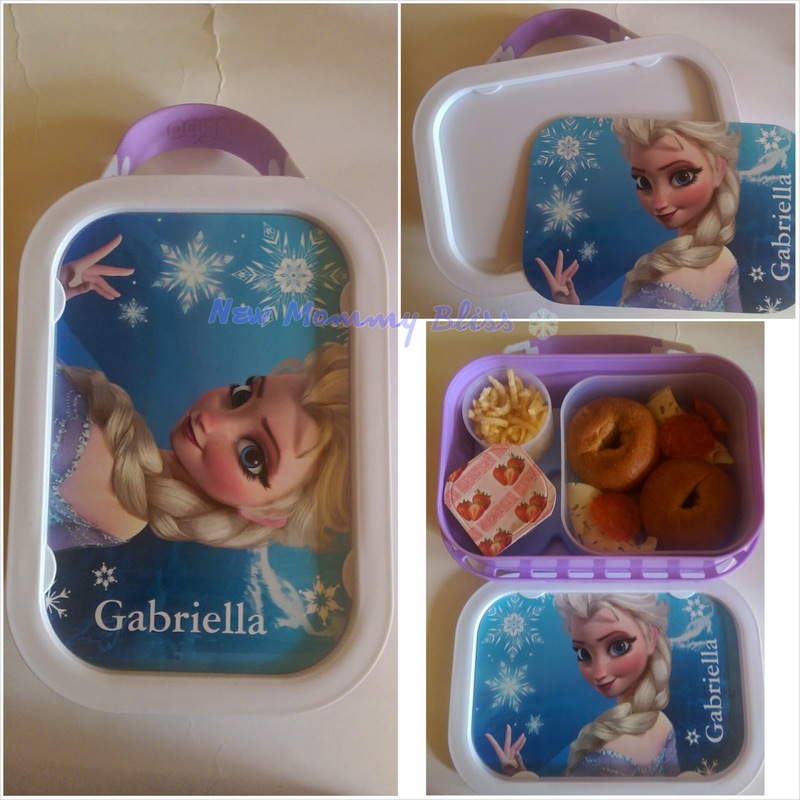 This ice pack does make the lunch box a little heavier to carry, but it keeps the lunches nice and cool which is good enough for me. This Lunchbox is made for utility and fun! It features a detachable rubber handle for vertical or horizontal carrying, comes in six fun colors, and has easily accessible front and back lids - all BPA-free and 100% dishwasher safe. 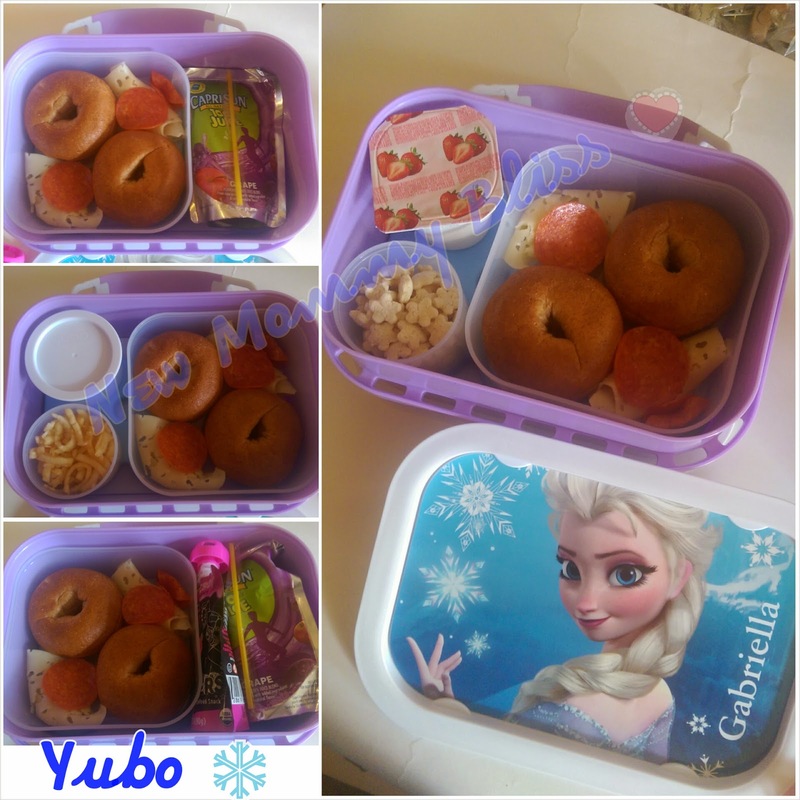 Yubo's unique concept of design, cleanliness, and customization surely sets a new standard for personal expression at your kid's school lunch table. Your personal designs are printed on front and back changeable faceplates (water-proof and tear-proof). You choose from six color options. BPA-free, phthalate-free, and lead-free. 100% recyclable. 100% dishwasher safe (excluding the faceplates). Includes large (sandwich) container, two small containers, and ice pack. Measurements: 9.8” x 6.9” (3.5” deep). Don't worry... If the Lunchbox is not your thing, Zazzle.com still offers customizable Shirts, Binders, notebooks, messenger bags, drawstring bags and more!